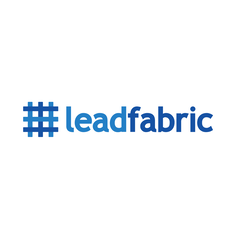 Headquartered at the heart of the EU, LeadFabric helps international direct and channel B2B Marketing & Sales professionals boost their revenues by dramatically improving their demand-generation capabilities. Countless Marketo users trained by LeadFabric can now listen to and authentically engage with their customers on a big scale. Rely on LeadFabric's Marketo Certified Experts and Solution Architects to shoot your marketing automation to the next level.